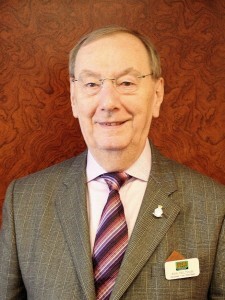 Ronald Thomas Feltham – was born in 1930 and raised with his brother Gerry in South London. As a result of the Blitz during the Second World War Ron & Gerry were evacuated to Dorset where they stayed with the Callaway family in Sherborn – a relationship which continued throughout Ron’s life. If ever one rang Ron and there was no reply you could be sure he would ring back in a couple of days to say he’d been visiting in Dorset. After leaving school Ron joined the Royal Navy and went off to train on HMS Ganges at Shotley in Suffolk. Boy 2nd Class Feltham took to the Navy like the proverbial Duck to water; he trained as a signalman where he learned one particular skill that was to come in very useful in later life. Ron saw service on various boats oops he’d shout at me for that slip – I meant to say various ships as far as I know he never served on a submarine. After leaving the Royal Navy Ron worked briefly in sales for the gas board whilst training to be a driving instructor. He qualified as an ADI in the mid 1960s and joined The Motor Schools Association (MSA) soon after in June 1967. Under the name Classic Driving School he built up a multi-car business and agreed to serve on what was then known as the MSA Metropolitan region (now MSA Greater London) committee. In the 40 or so years since then he has served continuously on that committee holding just about every post and serving over the last few years as the membership, publicity and information officer. For the past 26 years, he also sat on the MSA board of management. My first board meeting when I started working for the MSA in 1984 was also Ron’s first meeting a few years later the board elected Ron as deputy national chairman and in 1989 Ron became the national chairman of the MSA and continued until stepping down in 1995. Ron steered the association through some difficult times and during his term of office he also had to cope with the tragic death of his wife Joyce in 1991. We also had some great times and Ron’s period as chairman culminated in the associations’ diamond jubilee anniversary conference where Ron, who loved the annual conference, led the celebrations. “I am writing to express, on behalf of myself and the whole Driving Standards Agency, our sincere condolences on hearing of the tragic death of Ron Feltham – his exemplary record with the DSA bears witness to his superlative performance, dedication and achievements. When Ron stepped down as chairman of the MSA, he became the association’s vice-chairman and took on the roll of mentor to the board and the regional committee. His catch phrase “In the face adversity keep calm and carry on” was on some occasions, like the time the projector caught fire, the projection screen fell down and the caterers failed to turn up was a little maddening but I know Peter Harvey and the rest of the MSA board will miss hearing it, I know my family will. It was about this time that Ron’s ability as a signalman came to the fore as his touch typing skills made his introduction to computers an easy transition and he was one of the original silver surfers. It was through the internet that Ron re-discovered his first love the Royal Navy and met up with a whole new group of friends who had shared the Ganges experience. As most of you know he had just completed a Ganges reunion cruise before he died – sadly we did not get to hear what I’m sure would have been some great stories but I am assured he had a great time. Independent to the end Ron will be missed by all those who knew him – The HMS Ganges Association, The Motor Schools Association, his second family in the West Country and of course his brother Gerry and his family. Ron was recognised for his sartorial elegance, noted for his acerbic wit and loved for his generosity of spirit – he may have started out as a boy second class but he ended up as a first class gentleman.